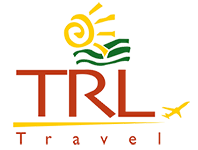 TRL TRAVEL is a 100% citizen owned company. TRL Travel is dedicated to help customers realize the greatest value from their investment in travel through increased cost savings, outstanding customer service and greater spend control. Through our relationships we can optimize our unique brand of service including association with an established brand, industry expertise and global experience and scale. Working together as one network, we deepen our relationship by differentiating our business from our competitors, attract new customers to our unique offering and deliver consistent servicing worldwide. Mission Statement: To be the first choice Travel Management Services Company that anticipates and acts upon evolving needs of its clients. This company falls under the Khupe Group of Companies, which incorporates Tati River Lodge the flagship. The founding mission of TRL Travel is: to become the premier provider of corporate travel management services in the most efficient and professional manner. Our vision and what we strive for, is to create the best value for our customers by building long-term relations with clients by delivering quality service dedicated towards customer satisfaction. We seek to maximize our returns by adding real value to our partnerships, striving for customer focus, nurturing our human capital, delivering consistent performance for our shareholders and responding to our communities. We engage our stakeholders and report publicly on compliance, performance and progress.